Playing with her little sister after sight-restoring surgery. 52 generous Canadians left a footprint of love and goodness on the world in 2016 – a testament to who they were and how they lived their lives. These faithful men and women left gifts in their Wills totalling $1.02 million. 11,533 people can see the new year – moms can care for their children, dads can support their families, children can look forward to a brighter future. 8 surgeons were given skills to heal thousands of children, parents, grandparents in the years to come. 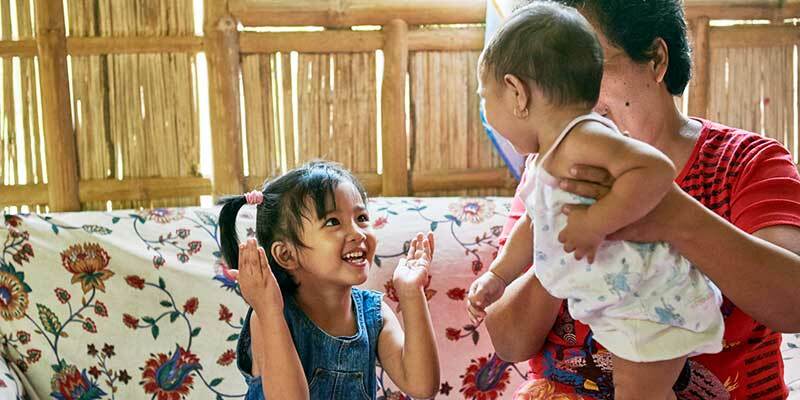 908 children got life-saving, life-changing medical care. 631 people received livelihood training – giving whole families, living in poverty with disabilities, hope for the future. 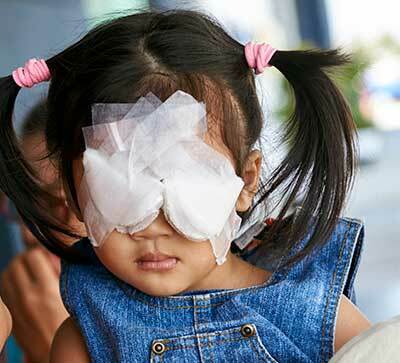 Little Barbie developed blinding cataracts when she was just 1 ½. She spent two years in darkness, bumping into furniture and relying increasingly on her mom to keep her from falling down hills and into streams. Last year, someone like you paid for Barbie’s cataracts to be removed.